There is a famous proverb in English ‘Necessity is the mother of invention’, when there is a need for something than human beings invent article or items for their use. Similarly, computer came into existence and with that internet. When the internet became a necessary tool in business, then many software came up helping the customers in various ways. Software is the backbone of any website. Technology is changing with amazing new products everyday due to the strong competition in the business world. For this the software development company India is coming up with new software every time that can go with the business. India is the hub of web development at present working on a different type of website related to different services. However web development company India offers services at a genuine cost to the client’s satisfaction as the main aim. Now the traditional need of software development and web development has also changed. Clients are now discuss their project with the service provider and the providers do the work according to the need of the client. There is analysis done before selecting the software for the technology. India is a centric point to give offshore services and the clients receive benefits like customization, interaction, lessening of the hiring expenses, consultation. With the passing of time and development occurred in each sector now many new modifications and conversions has been made to the following field. Till date we can see that web development companies and software development companies has worked a lot in making the product according to the client to be at par with the strong competition with the customers. We can see that Indian companies have rendered services to almost all the countries across the globe. It is the quality work that keeps the sustainability in the services. The bond the Indian companies develop with client support in bringing more business to the country. The positive aspect that really supports Indian IT Company is the skilled staff that is well versed in communication and is able to understand the concept and ideas of the client. The people here are well updated with the latest knowledge in the field. There was a time when mobile was completely used for the talking purpose but now due to advancement in technology 30 to 50 percent traffic on the web page is coming from the mobile devices. This means that now in the near future the users of desktop and laptop will become minimized and users of mobile apps will increase. Currently web design India is working onto three types of approaches in web designing responsive web design, client-side adaptive web designs and server side adaptive web design. The utility of each approach is different as they are used for different products and services. Each web design has its own strength and weakness. It is up to the designer to choose the best suitable approach selected for the type of products and services they are designed to. Responsive web approach- Surfing the internet through mobile has become a common phenomenon. The responsive web approach is the most commonly used trend in web designing. The advantage of this type of web designing approach is that the designers are free to use a single template for all devices. The designing through responsive web approach take the use of CSS and those designers can still be supportive of technologies like CSS and HTML that they are familiar with. The performance of the responsive web approach mainly works with mobile devices, where we find the mobile use case is prioritized while developing. Mobile apps design company India is at present working on this approach to make the design adjust to any screen. Client-side adaptive- It is based on the principle of the responsive web approach. The target area of this type of design approach is very limited and specific. Java script is used by it to enrich websites with advanced functionality and customization. Even the adaptive design work with two approaches one is to serve the client side. The other adaptations occur where the web server does the heavy lifting of web devices and even loading the correct template. In the client-side adaptive the designer is not supposed to build another site rather they can be built on the existing content. Client side adaptive ensures that the templates are loaded from the client device. Server-side adaptive- From server-side adaptive approach work is achieved through various ways from server side plugins and custom user agent detection. This approach is mainly required when servers are under heavy loads. It typically offers distinct templates for various devices. It even keeps the device detection logic on the server. There was a time when not every business firms had their presence online. But with the revolution that came in the IT sector and tough competition in the business world people do want their services and products to be present online. A large section of customers is daily visiting the sites for searching of products and services of their choice. Web Development Company India functions according to the client’s service and products and that could reach the targeted audience. Web application Development Company India providing high quality services to the clients that facilitates enhancements and are reliable but easy to deploy. At present web development companies are providing many facilities for different types of services and products that are offered in the market seeing the targeted audience. Web application solution companies are more focused to create a user friendly website. The prime focus of web application service provider is to develop a user friendly site, which will work towards more business to business or boosting online business. Strategies are developed according to the present market scenario by the web development company India and it helps to strengthen the presence of the products and services online. India is offering web services in so many areas and the important thing is that it not only helps to promote business but through the internet you are able to promote a social cause or campaign. 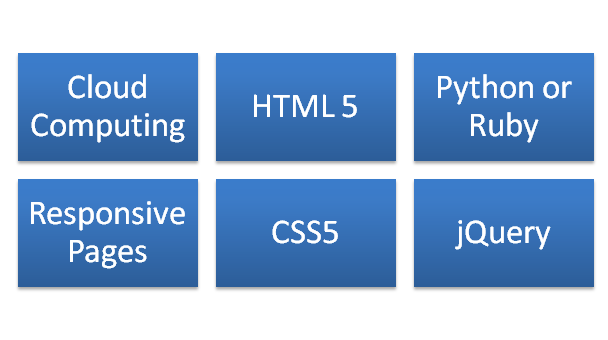 This has really expanded the market of web application development. A website establishes your brand in whatever field you excel. While developing a web the service provider and client must be clear about what would be the theme of the products or the services given. This helped in a notable growth of the site. A site should be made only when it is tested properly and seen that the audience will not get confused about the website what it tries to convey. A simple website is easy to understand and so whatever is shown on the page should be presented very clearly. No unusual images and content should be present. It is not good for the growth of the website. In today’s world in fact it is hard to imagine any company without a website. A website is a complete presentation of the company online which is seen by millions of people daily. To be in the race of this tough competition of the internet market the web application development company has a vital role to play. On the context the web application development company India offers standard services through which they keep the clients happy and satisfied. The user experience design in today’s scenario is very important in the development process. As the methodology helps in raising the internet traffic. It not only helps in designing but its functions are more to it. Clear of the concept- Before working on the project the company must be clear about the theme and the service on which the client wants to be work. Therefore for that a project should be made and noting down the requirements of the clients clearing out each and every doubt from the client. Then the developers should start working. Plan the project- After the concept is clear now the developers should take the next step of planning the project. This needs lots of study, knowledge and depth of the project that is to be work on. For this the minutest thing should be studied, that is the language the site to be developed, work format, technology and any other addition the client wants. Work with the plan- The planning of the project requires step by step process and with the help of this the working on the project should be done. According to the plan it is the programmers who start programming, coding, testing and publishing of the contents along with data. When everything is completed then the testing of the site is done many times. So as to remove any obstacles and make the site run smoothly. The web application that is developed using the methodology of user experience method then the excess contents and images are been removed. Through this the site becomes easily accessible, sustainable. The user experience design is more feasible as it is more helpful in design the product around the user instead of designing without them. A good design conveys the thought of a web through its designs and a good designer is able to make the viewer attract to the site and make the audience read about the product and services provided. Many times it has been seen that the targeted viewers when they are going through a web they get impressed by the site so much that the onlooker is converted into leads. Be it designing of a web or redesigning of an existing web or even other designing work like Logo designing, flash designing, graphic designing, etc. For various applications different types of designing applications are used like user interface design, web interface design, and many more. A good web design India company offers its clients services that are unique and with accuracy and even done in time. Similarly like web, logo is as important to attract audiences online. The logo design company India work in the direction of creating the most creative logos for clients. This is the time of competition so there can’t be any chance of providing worse in the industry. Designing companies in India focus are the theme of the business and then the logo and website is designed. A website should be designed in such a way that it gives its customers the qualitative solutions and also a unique one. A logo design company India provides creative services. Logo appeals the people to visit the site once and then it hits the site. Many times instead of creating a complicated logo for your site. Emphasis more on simplicity because many times when things as explained in a single way than they leave a much deeper impact on the visitor. So try to be simple because use of too many colors might confuse the client. We pass by many logos every day but it is hard to remember. However the one we remember is you will find is much simple as compare to other logos. Avoid frequently change in the pattern of the logo as the target audience might find difficult to search and you might reduce traffic on your site too. The Logo should be designed such that the people are able to identify the company. Simply one or two colors can be used and even the first letter of the company can be used like Reliance. 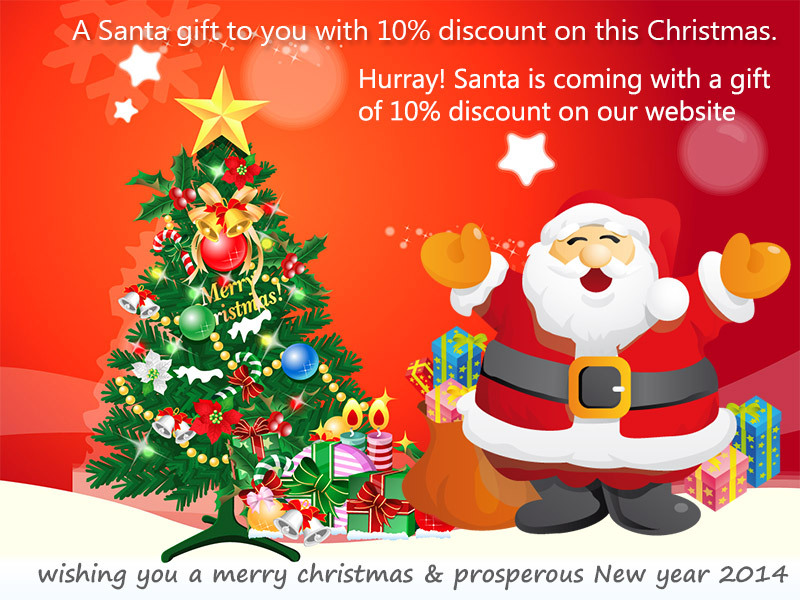 On this Christmas Santa is coming at your Home to bringing some special amazing offers regarding web design services and any other I. T. solutions to growing your business. This Christmas vervelogic is giving superb offers to Company’s Clients! Contact us as soon as possible, offer valid till short time. Once call us and get our Superb Offers. If you’re just starting out with your business and would like to setup an online website for your business to market your product or service, you can get it done with Vervelogic – Web Design India, which is the web design, development India. At the web design company, they’re generally working side by side with the clients in order to fully grasp the clients’ main business objectives. This kind of approach which is practiced by the company will enable them to develop the proper solutions that shall effectively move the clients’ business on the web. Whatever kind of service that you seek from the India Web Design company, be it a web design, search-optimized copywriting, an e-commerce solution, or a custom web application, the India has got it all covered and is ready at your service. The company offers professional wed design and development services, and they’ll begin every little project with a thorough assessment of the clients’ business goals. The web design company will then create a strategy that will drive a website’s technical requirements, design, as well as development. The collaborative style being practiced is a sure-fire way to succeed. Among the other benefits of getting the right service with the Web Interface Design is that you’ll be able to expect a reliable and up-to-standard result. As the web design Indian company has the ability to work on any level of your business project, you won’t have any trouble in getting your job done. Among the other services being provided by the web design company include content management systems (CMS), e-commerce solutions and shopping carts, compliant XHTML, and flash animation. The industry’s professional definitely has impressive clientele. To get avail Superb Prizes, various offers on this Christmas don’t get miss Company Offers once give us a miss call then we will call you back or visit our website and go through following , to make conversation with us. In this fast moving time the world of communication and satellite is effective with software development as it is required by almost all the small or big companies. It is developed and used in various fields like communications, engineering, industries and many other areas. It has become a prime requirement for almost all types of industry. If any business are not in the habit of using softwares then it is a type of disadvantage to them. There is software development company India who claims to provide the best service in this field in the world. In the phase of software development the companies are now adopting new solutions in the form of offshore software development. Similarly among the companies adopting this method are Vervelogic. com from Jaipur. The methodologies used by the company in software development are on world level. Verve as the offshore software development company India understand the need of the customers and making them satisfy as per their requirements. It is true that India is a big center for outsourcing the software development. Offshore software development company India gives qualitative services across the globe within the budget. We at Vervelogic promises to give the best of our clients according to their requirements. Our team excels best in the field and satisfy the customers using the latest tool and technologies in creating the software for the clients. The main goal of the company is to provide you business with added values and more operational efficiency. Verve’s big software development services and offshore application development services allows to give away the effective solutions that bangs straight to the heart of the business problem. The software development company India completely follows the complicated life cycle of development and execution. The proficiency of the team of developers gives the quality product and that too at a genuine cost. This attracts more companies across the globe in India and thus India can be well seen as a hub for offshore software development. We can now see that Indian software companies have come up with a variety of services to its esteemed clients. The services mainly consist of custom application development services, web development services e-commerce shopping cart development and many others. User Interface (UI) Design essentially refers to anticipating end user needs and goals and ensuring components of interface are designed in a manner that makes them easy to grasp, access and use by the end user to attain their end objective. UI designing involves all the 3 elements of visual design, interaction design as well as information architecture. Start the process of designing keeping the user in mind. Focus on what the user wants or expects to create an interface that lets end users achieve their objective. An interface should first and foremost have clarity. Users should be able to clearly recognize what it stands for, its purpose and interaction with other elements on the site as well as the outcome of using the interface, to be able to motivate them to use the interface as ultimately interfaces are built to promote interaction. Ensure consistency in your interface design so that users are assured that once they learn to perform a particular action, they will be able to repeat the outcome with that action. A consistent interface helps users build understanding of the product or application over a time leading to increased efficiency with the same application which in turn drives them to use it more and more. Ensure the interface is designed in a manner that places control in the hands of the end user. They should be able to predict with accuracy the outcome of an interface and what is expected at every step of the interface. Any unnotified changes and surprises takes control away from the user making the interface less desirable and eventually less used. Design the interface in a manner that allows single one key action per screen as screens that permit more number of actions end up becoming confusing and chaotic for the end user. Each screen should be designed to support one key action that adds value to the end user with one or more secondary actions which complement the main action. The test of a great user interface design is when it does not distract the user from the objective. A great interface design brings different elements together so seamlessly as to appear almost invisible from the rest and lets the user focus on the application and its use rather than any one particular element. One major reason why many interfaces end up being poorly designed is primarily due to the lack of a clear visual hierarchy. An interface should put the focus on what is the most critical element for the user to catch attention through the use of color, size and placement of each element. A poorly designed visual hierarchy does not provide users with a clear signal as to which element they should be focusing on leading to confusion. At the end of the day an interface is designed in order to be used and hence its success can be best measured when people choose to use it because they have liked it. If users have chosen not to use an interface, even if it is a beautifully designed interface worthy of winning awards, it is of no use and is eventually discarded for a more practical usable interface. Interface design therefore has as much to do with creating an ecosystem for its use as it is about designing an interface worthy of use. Software development essentially refers to the development of a software product, from the initial conception of the required software right through to the final product undertaken through a structured process including research, development, prototyping, modifying, re-engineering, deployment and eventually maintenance. To meet the business needs of a specific client as with customized software. To meet the perceived needs of a specific set of potential users. To meet personal needs like automating a set of tasks. 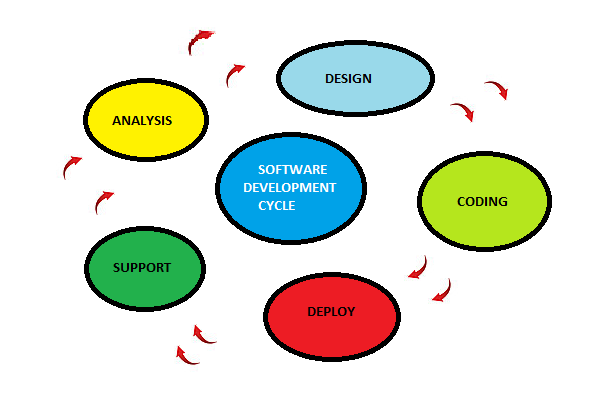 SDLC or Software Development Life Cycle refers to the phases of software development, or in other words management of the lifecycle for an application or a piece of software. The objective behind implementing SDLC is to ensure that the software developed, is of high quality, effective and cost-efficient as well. Requirement Analysis is the first step in the process of software development where the end user has to provide information regarding the specific need as well as eventual use of the software to ensure that the software engineer is able to develop software capable of meeting the actual need. Specifications is the process of detailing out the software to be written as per the need in a mathematical representation. Software Architecture refers to the phase where the system is represented in abstract to ensure that the software is being designed as per the requirement both current as well as future. In the Implementation stage, the software design is broken down into coding language. System Testing is done to ensure that the code is error free and will produce the desired result. Documentation of the design and coding structure is done with the objective of future support and enhancements. Training and support for the end users is offered till they are able to independently run the software without any glitches. Maintenance and software enhancement is applicable both to the existing system as well as addition of new modules and applications to the existing design based on new and changing requirements. Agile methodology is currently the more favored methodology due to its flexible nature as it can convert an application in development into a complete product release at virtually any stage, making it ideal for application updates. Most software Organizations are opting for implementing process methodologies to ensure quality benchmarks in development. The CMM (Capability Maturity Model) is considered the most superior, although there are host of others like ISO 9000, ISO 15504, and Six Sigma. With desktop PCs losing ground to tablets and smartphone usage,a growing trend in software development is that of mobile apps and Web services. Most software development companies are adapting their existing tools & skill sets to make the most of these emerging trends. Technologies such as cloud computing have rendered business processes a lot more convenient & flexible. With Its ability to function as a deployment model it saves on investment and resources. Location based software development is another trend that is here to stay. Its popularity can be gauged from the fact that most mobile devices are GPS enabled & check-ins on various social media is gaining traction. Clearly flexibility, efficiency & cost saving are 3 principles guiding the software industry, impacting the entire Information Technology ecosystem. Seth Godin defines the brand as “the set of expectations, memories, stories and relationships that, taken together, account for a consumer’s decision to choose one product or service over another. If the consumer (whether it’s a business, a buyer, a voter or a donor) doesn’t pay a premium, make a selection or spread the word, then no brand value exists for that consumer”. Brand Design, is the process or methodology of carving a unique identity for the purpose of communicating and promoting a person, product, service or organization, referred to as the brand. Designing a logo essentially involves sketching innumerable iterations on paper to finally arrive at a logo that is in sync with the design brief. Once the concept is final on paper, digital iterations need to be done to arrive at a final digital logo image. Once the logo is designed, an identity system or visual language around the logo aligned to the design thought process of the logo is done. This identity system around the logo is required while creating a brand marketing collaterals. Style guidelines, laying down the detailed rules or guidelines for styling, layout and usage of the logo like typeface pattern, color palette etc. is also created to help marketers create a consistent brand image. This step comes into effect once the brand has been launched with its new design identity. It is important to monitor the brand to ensure that no untoward associations or perceptions are built around the brand. 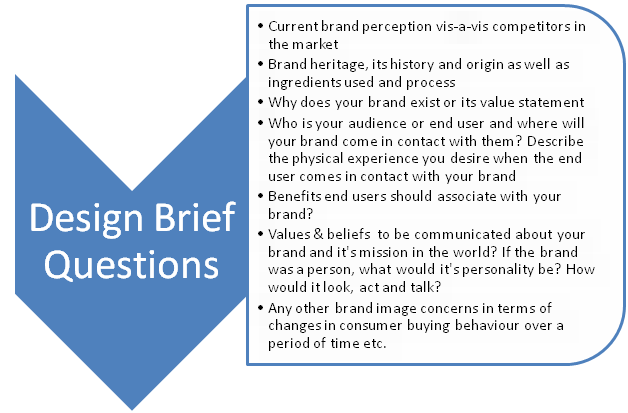 Also, since consumers and markets evolve over time with changes in preferences and usage patterns, a rebranding exercise to create a new identity for your brand which connects with your past but engages with the audience in a fresh manner will be required. Brand Designing, by its very nature is a highly complex and evolving discipline which needs a thorough understanding of design elements and their interplay with each other to create a powerful sustained imagery in the minds of people.